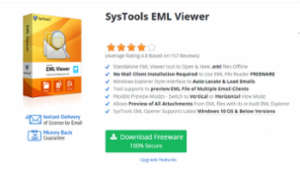 Are you also looking for a free solution to open an EML file format? But do not know how to open .eml format in windows? 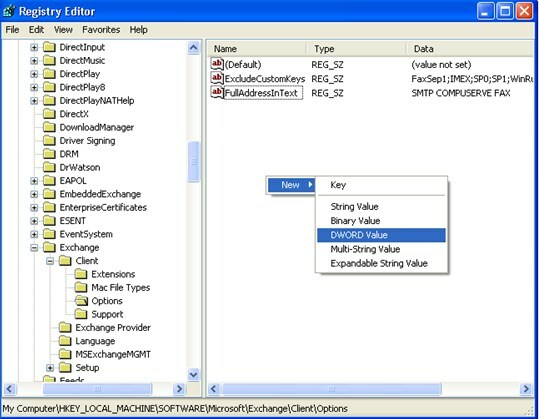 Now, no need to worry, as this blog describes the best possible approach to view EML files on your personal machine. Great freeware that works as advertised. Endorsed! MS outlook is a premier email client that enable you to send and receive the e-mails with various file formats of attachments such as document files, media file, and many others formats. There is some scenario occurs when a receiver of an e-mail message encounters an error at the time of opening or saving an email attachment in outlook. Microsoft outlook pops up an error that is “Cannot create file: file name. Right-click the folder you want to create the file in and click Properties on the shortcut menu to check your permissions for the folder”. You know that you are fully authorized to access this attachment as you have previously opened such attachment from the concerned sender. So what was the reason of this error? Here we will discuss the possible reasons and provide methods to resolve this error. First of all you should know how the entire process is working behind the opening of outlook email attachment file. 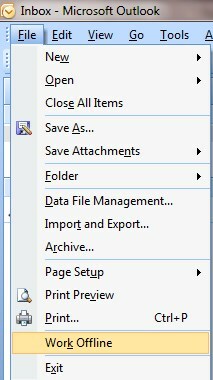 A temporary copy of an attachment is created when you open email attachment of outlook and stored in secure folder “Outlook Secure Temp Folder” on your computer. This folder is a hidden folder you cannot browse it in window explorer until you know the correct path to it. Microsoft Outlook provides an easy way to recover permanently deleted items. 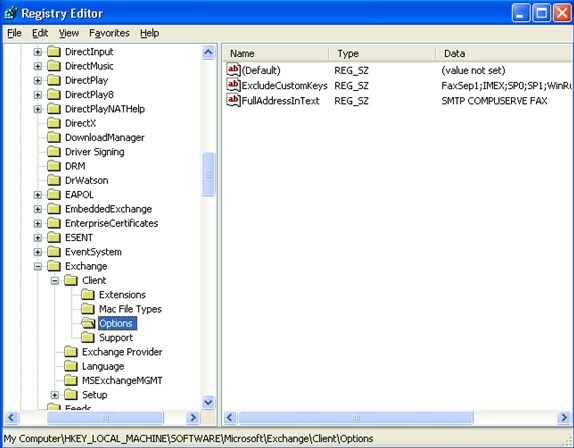 When you empty the Deleted Items or simply deleted an Outlook data items using shift+Del key then it can be recovered using Registry Key settings. 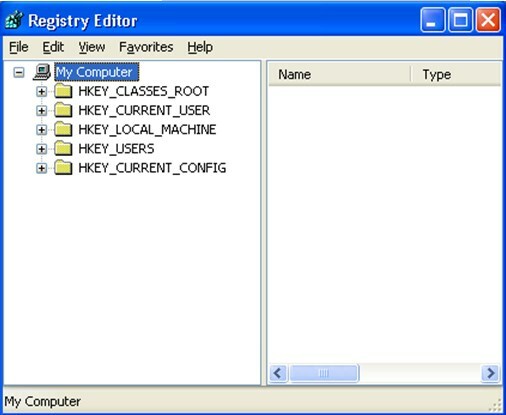 Caution- Wrong Registry modification should be a serious problem. So, it is highly recommended to backup Registry settings and then make any changes. Note: The trick will work under the following circumstances only if the Outlook is configured with Exchange Server and the Retention time to keep up the Outlook items should not be lapsed. Step 1: Check Recover Deleted Items highlighted or not from the Tools Menu. 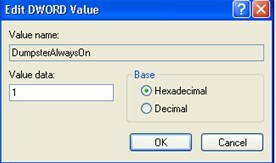 Step 5: Enter the name of Newly created DWORD value as “DumpsterAlwaysOn” and set as Dword value data 1 and click on the OK Button. 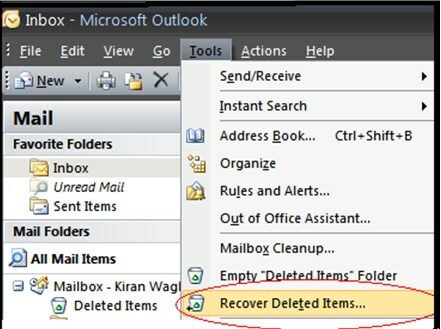 Step 7: Now you can easily recover deleted items from Outlook client. Very informative. I've used it once but I'm not sure of one detail. 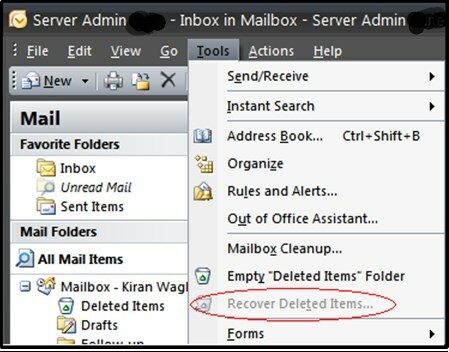 Does this method include the recovery of all deleted items such as Contacts, calendar and tasks or just emails? Microsoft Outlook is not just an email client but it is full featured Personal Information Manager. But sometimes Outlook gets disconnected and you simply can’t access it. 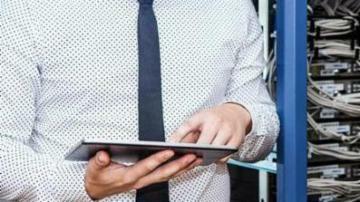 What steps can you perform before calling IT support? In this article we will see how a non geek person can troubleshoot Outlook connectivity issues. I will demonstrate some basic steps that you can perform to resolve outlook connectivity issues. Confirm that offline mode option under File Menu is not selected. If it is then uncheck it. If you are using later version of outlook like 2010 or 2013 then you will find this under send/receive tab>>work offline button. #2 Restarting Outlook or system sometime works! Most of the restarting outlook or system work and resolve the connectivity issue with Exchange Server. So, it’s better to restart then call IT support. Note: Close Outlook before starting the PST repairing tool. Outlook stores data in two formats: PST (Personal Storage Table) Format and OST (offline Storage Table). When Outlook is configured with Exchange Server, using Cache Exchange Mode enabled, only then OST file is created on client system which is sync with exchange server. Most of the time these Outlook data files gets corrupted and you need to repair them. 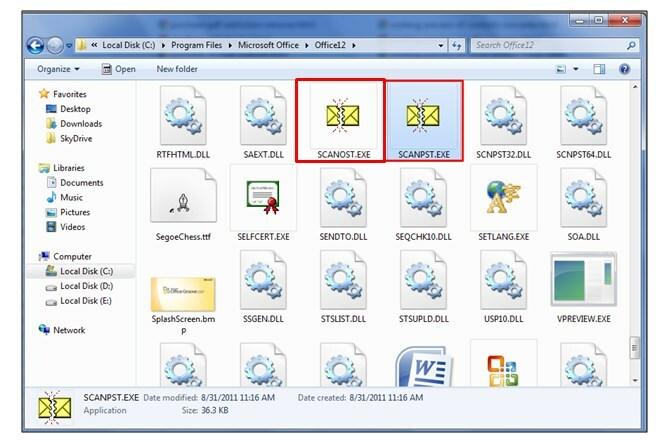 Microsoft recommends scanost.exe and scanost.exe tools to repair PST and OST file respectively.